In 2000, I published an observation about a difficult line in a kinah. The observation was buried in the footnote of a scholarly article dealing with a different theme, and I was berated by a friend for making sure that hardly anyone who recites kinot would ever come across it. So I wrote a letter to Artscroll explaining the point and suggesting that they modify the translation in any revised edition of their Tishah be-Av liturgy. The letter was graciously acknowledged—even to the point of agreeing that if the change would be made the new understanding would be cited in my name—but to the best of my knowledge there has not been a second edition. Three developments have provided the stimulus to write this note. First—the publication of the new volume of Kinot Mesorat ha-Rav. Second—the appearance of a volume of my collected essays containing an English translation of the article in which I made the observation. Third—the imminence of Tishah be-Av. The kinah in question (#22 in the Artscroll and Mesorat ha-Rav editions; #24 in the Rosenfeld edition) begins “Hacharishu mi-menni va-adabberah.” The Artscroll edition notes that “the particular tragedy about which this kinah was written is unknown. 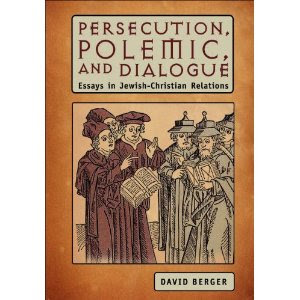 It very aptly describes any one of many massacres and pogroms that have formed a large part of Jewish history.” In fact, it is evident from the description of suicides and mutual slaughter that the strongest candidate for the tragedy underlying this text is the first crusade, and the Mesorat ha-Rav edition gets the context right. Artscroll greatly compounds its error by asserting a few pages later that kinah #25 (Mi yitten roshi mayim), whose crusade context is emphasized in the commentary, is “the first kinah recited on the Ninth of Av that is apparently unrelated to the destruction of the two Temples,” an assertion incompatible with the book’s own comment on Hacharishu mi-menni va-adabberah. The relevance of Hacharishu to the first crusade is further sharpened by what I believe to be the meaning of the difficult line to which I finally turn.